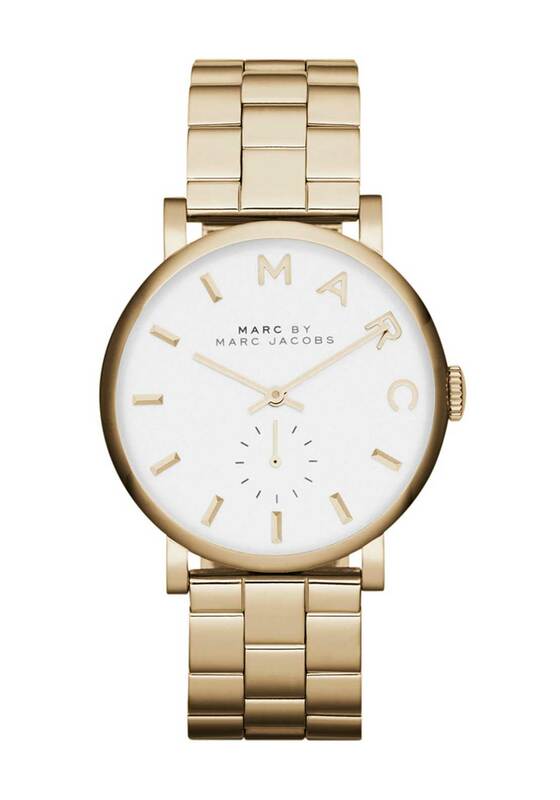 A great choice for everyday wear, the gold Baker watch from Marc Jacobs with add an extra touch of glamour to any outfit. 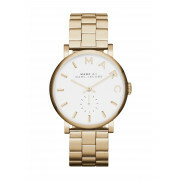 Designed with a gold plated bracelet strap and round case with classic white face. Details include logo branded hour markers, two hands and seconds sub-dial.